I've been sitting on my awards for so long that it took me days to retrieve all of them from the wonderful people who were kind enough to honour me with such recognition! I am truly flattered that you deem my blogs worthy to be given this regard and yours truly is truly thankful! As usual, please accept my sincere apologies for the delay in having this post up, so without further ado here goes. Shinade a.k.a. Jackie for presenting me with the Breakout Blogger and the Blogging that hits the mark award. That's like a double celebration for me so thanks Jackie! For these 2 lovely awards, I'm going to pass on the same recognition to NAFA, Kim Fei, Karen & Speedcat. Bokjae for giving me the Bodacious Blog award. This is a super funky award that I like very much, so thanks for thinking of me! I'd like to pass on this award to Erisha, Spiff, Bobo, Bobby & Lady Java. Speedcat, Mike, Adrian, Nick & Bobo for the Community Blogger award. Receiving 5 of this from 5 great talents is definitely something to shout about! This award goes out to Zubli, Nihal & Colin. 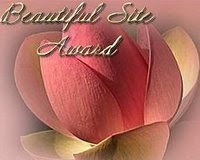 Melody for the Beautiful Site award. This award made me glow with pleasure at such a grand compliment, I love it! I'd like to give this very special award to Emila, Janice, Jean, Christy, Trinity, Jackie & Jesse. Jesse for making my night when she informed me that I'm one of her recipients for the Shibumi award, which is uniquely wow! By the way, 'Shibumi is a Japanese term which used in the following context is a noun. Its meaning refers to a ‘particular aesthetic of simple, subtle, and unobtrusive beauty” which can be applied to almost anything.' I am truly honoured to be giving out this exquisite award to Adrian, Nick, Melody, Nessa, Uncle Sam & Bokjae. Trinity, Shinade, Sweet Pea & Bobby for this You're a Treat Halloween award. All of you are just as sweet and I thank you for this super yummy treat! Lady Java and Melody for giving me the I LOVE Your Blog award yet again! AND loads of love and hugs for Colin who gave me the Blogging Star award again! Congratulations to ALL my recipients! I'm sorry it took me so long to get here. I have been losing my mind trying to fix my comments issue where it hangs for so long sometimes. Hi Bobby, thanks for being my first commenter! Congrats on ur award! I love the Bodacious Blog award too, it's so hot! Hold my hands dear e-Community members, I got an award, so desrving I am. Mesra Marzie Marvelous Mariuca knows. Thanks a Million. You are such a giver, I salute you. Selamat Hari Raya!!! You are such a Star Blogger getting so many Awards. Congrats. Yay Marzie! A gazillion thanks for this beautiful site award!! What a compliment! thanks!! Thanks marzie! love this Award! You are so generous in giving me so many awards! Thanks! Thanks for remembering me when you are giving away awards!! I appreciate that!! Wow .. You are so popular. Recipient of so many awards!! Marzie!! Thank you for the award! Love it. Will display it soon! 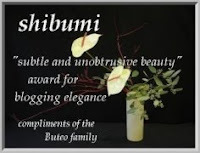 hey marzie...i am so glad to receive the double award from you..its my honour since i just start blogging not more than 3 months time..again..thanks ya..
aww, marzie, you are so sweet! i love the award! thank you so much, dear! Yay!! 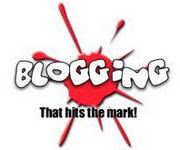 We are the Break Out bloggers who have 'hit the mark'! Double the surprise!!! Thank u GP, u rock our world with your kindness and sincerity. Oh Wow thanks Marzie!!!!!! I absolutely love it...it's a rose!!!! And so are you!!! I absolutlely love it...thank you so much for this!!!! I am late, but ever so happy to get an award from your great page. You have so many friends here, and I can see why every time I stop in. congrats on all the awards marzie! Thank you for including me in your list!